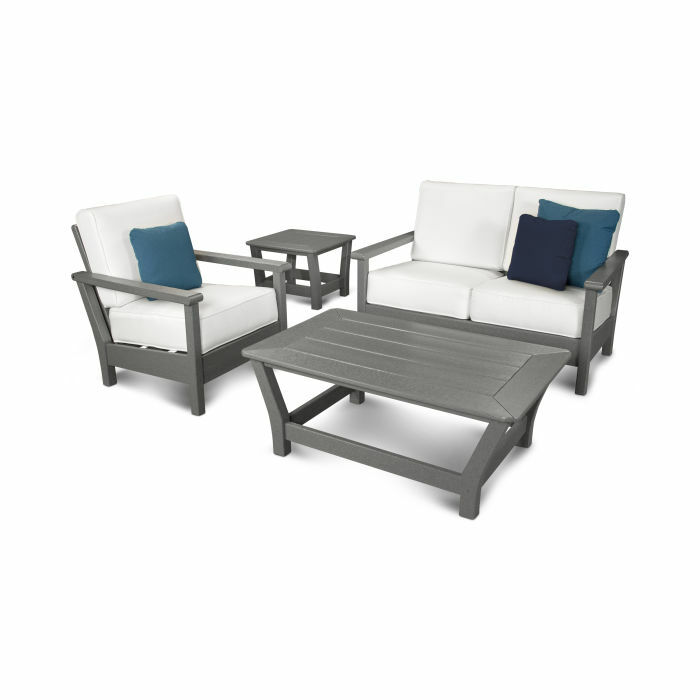 The Harbour 4-Piece Deep Seating Set combines sleek lines and plush cushions to create an intimate setting for your outdoor space. Each cushion features Sunbrella® fabric and a decorative welted edge. The Harbour 4-Piece Deep Seating Set combines sleek lines and plush cushions to create an intimate setting for your outdoor space. Each cushion features Sunbrella® fabric and a decorative welted edge. This eco-friendly set comes fully assembled and is constructed of durable, all-weather POLYWOOD® lumber, ensuring a lifetime of comfort and enjoyment.